About Barry | Barry Burnett Realty, Inc. Since 1973, Barry Burnett has served as a leading Real Estate Advisor, helping clients around the world build wealth and live the life they desire. 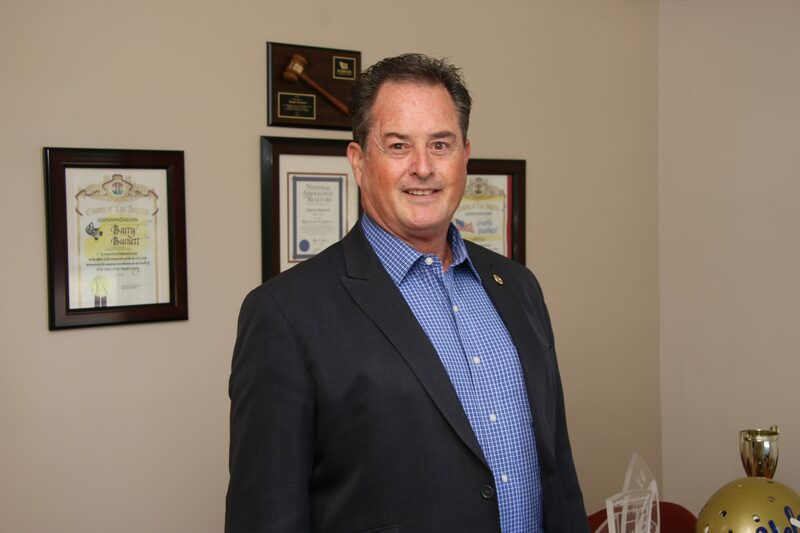 Since emerging as the youngest California state director in the history of the California Association of Realtors®, Barry has personally closed more than 4,000 real estate transactions. He’s taught real estate at universities in several states, and has served as an Expert Witness in the Federal, Los Angeles, and Southern California court systems. He has managed major transactions for clients ranging from high net worth individuals to first time home buyers – in every instance, he helps his investors build their holdings and protect their financial interests, step by step. Whether your real estate portfolio is valued under a million or several billion, and no matter your life goals, Barry is ready to help you. Now, more than ever, with constantly changing tax laws and an ever-shifting real estate marketplace, it is essential to have an expert Real Estate Advisor on your side.